4 Commercial Real Estate & Properties in Maroubra are listed in 2 categories. We have 3 OfficesLease and 1 Other Commercial PropertiesLease . 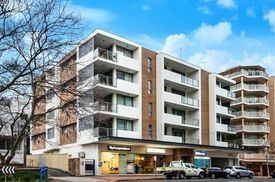 Well presented corner commercial suite for lease located within the ground floor of the Nexus apartments, just off the corner of Boyce Road and Anzac Parade Maroubra, directly opposite Pacific Square shopping centre. This well presented commercial suite features an exclusive courtyard, modern reception and open plan entrance, flexible floor plan and 3 well appointed air conditioned consulting rooms or offices. + For Sale or Lease + 95sqm commercial suite + 15sqm exclusive courtyard + Modern reception and open plan entrance + 3 consultation rooms or offices + Daikin split system air conditioning throughout the entire suite + Floating timber flooring throughout + Internal kitchenette with hot / cold and sparkling water + 1 x secure car space with remote access + Security Intercom with visual display Inspections by appointment. Rare freehold commercial/retail premises previously operated as City East Specialist day hospital and IVF Australia, ideal for medical services or can be converted to suit government requirements and retailers Ground Floor: 462.6sqm First Floor: 503.6sqm Total Area: 995sqm (approx.) + Freestanding medical/commercial/retail building located in the heart of Maroubra Junction + Prominent street frontage to Maroubra Road + Rear lane access with 4 car spaces + Internal lift and staircase + Premises can be subdivided into ground floor and first floor + Can be completely renovated to suite incoming tenants requirements Rental: $570psm + GST Outgoings: $86psm + GST Available 1st April 2019. Inspection By Appointment. + Choice of two (2) fantastic office suites + Fully refurbished space with new ceiling, lighting, skirting, blinds and carpet tiles + Internal kitchen + Ducted air conditioning + Predominately open plan with some internal offices + Large exclusive balconies + Offering sweeping views of Sydney City and Maroubra Junction district + Secure underground parking + Onsite building manager and complete security Available suites: Suite 204 244.7sqm Suite 102 328.1sqm (Available in April 2019) Rental from $280psm pa + GST Outgoings: Currently estimated @ $140psm pa + GST.